Crisis Planning for Medicaid is very time sensitive. One of the top goals at The Law Office of David Goldman PLLC is to help our clients prepare with one of the best plans for long-term care. While we always prefer to pre-plan for Medicaid, there are times when that may not possible. Many individuals and their families spend all of their assets because they are unaware that certain assets are exempt, and there are ways to plan for Medicaid in a Crisis. There are currently thousands of nursing home and assisted living residents facing financial crises because they did not plan for long-term care, and they are quickly running out of money. In Florida, long-term health care can be very expensive, and many have never taken the time to plan for it. Most people never expect to need this type of care, but the sad reality is that most people will need some nursing care as they age. Diseases such as Parkinson’s, Lou Gehrig’s disease, and Alzheimer’s often affect people when they least expect it. This is why many of the top Jacksonville elder law attorneys and Ponte Vedra Estate planning lawyers recommend Medicaid Crises Planning. What is Medicaid Planning in Florida? When a doctor diagnoses a person with a terrible disease, such as one of the illnesses listed above, then he or she will most likely need full-time care. A doctor might recommend the patient live in a nursing home so he or she can receive treatment and attention 24 hours a day. Unfortunately, most people have not planned for this event and panic begins to set in when the affected and his or her loved ones have no idea how they can pay for the medical assistance. Medicaid care or Long-term care can be expensive and may quickly eat through a families savings. All of the money and property you hoped to leave to your friends and family may be at risk to pay for this care. It doesn’t have to be this way! We prepare our clients for this financial crisis by helping them to utilize government programs such as Medicaid and Medicare. Medicaid is a government program run by the federal government and administered by the state government to provide health care for low-income citizens. Medicare alone is not enough to pay for a nursing home on a long-term basis. Many people often confuse Medicare and Medicaid. A person can become qualified for Medicare regardless of their income. However, Medicare will only pay for the first 100 days of nursing home care and in many cases, Medicare will only cover the first 30 days of nursing home care. Therefore, Medicare is only a temporary solution to a long-term problem. Unlike Medicare, to be eligible for Medicaid an applicant must pass the income test and the asset test. This asset test means an applicant cannot own a significant amount of wealth, as defined by the government, and qualify for this care. This seems reasonable in theory: if someone can pay for their healthcare costs, then he or she should. However, the qualifications for Medicaid are quite strict. A person with even a moderate amount of wealth will not qualify for Medicaid. So if the individual does not prepare for long-term health care crises, then he or she will be forced to eat through all of their assets first. Once all of their assets and wealth are gone, then the government will allow the person access to government assistance. This can leave your spouse bankrupt or without the funds to live as you intended. The best Medicaid Crisis Planning Solution is to prepare for a long-term health care crisis well before you it becomes a crisis. Each month of delay can deplete your family’s assets by as much as $20,000. 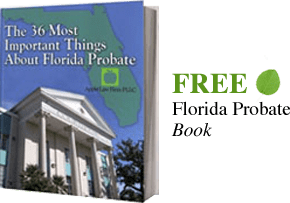 There are many top rated elder law attorneys in Ponte Vedra Beach and Jacksonville Estate planning lawyers. Some only do pre-planning while others also do Medicaid Crisis Planning in Jacksonville. These lawyers can design Medicaid compliant trusts that will allow our clients to become eligible for Medicaid while preserving some or all of the assets placed into the trusts. This works by moving assets and income away from a person’s estate so they can pass the Florida Medicaid Asset Test and Florida Medicaid income test required by the government. Additionally, in Florida, a families homestead is protected up to $552,000 in equity. If the equity in the home exceeds this, it may be necessary to transfer some of the equity to a trust to reduce the equity. This way there is no loss of control over the property, but the value is not at risk of disqualification from government benefits. We urge everyone to start preparing to avoid having to deal with a Florida Medicaid Crisis. By preparing now, you may be able to ensure that all of the assets you have at risk are protected if your parents, you, or your spouse ends up needing Medicaid. Planning early can enable you to have a higher level of care without loosing everything you have worked so hard. To find out more about how to avoid Medicaid Crisis Planning in Jacksonville or to being talk with a Medicaid Crisis planning Lawyer contact us by email or call our office at 904-685-1200 to schedule a consultation in our Jacksonville or Ponte Vedra Beach law office.